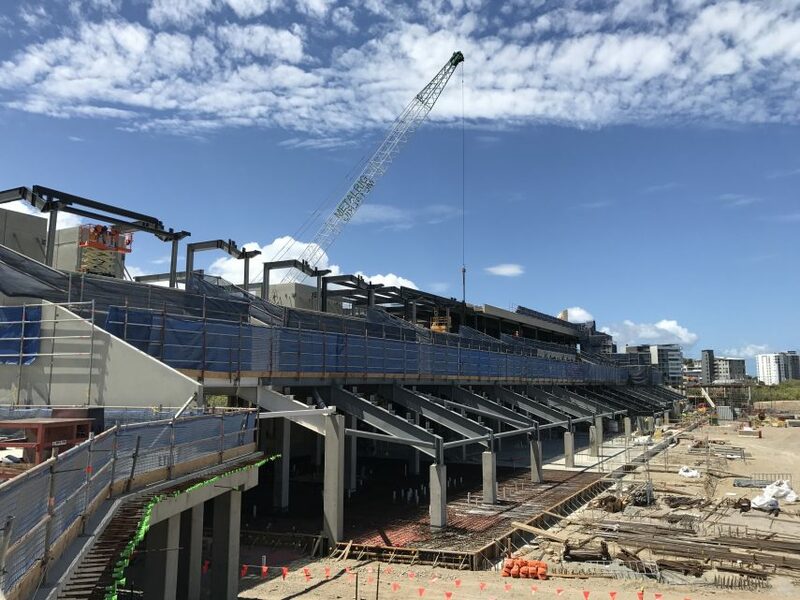 The North Queensland Stadium construction team is on track to induct its 1000th employee by the end of the year, according to the State Government. Almost 99 per cent of construction work carried out so far on the Townsville project has been done by local workers, with a high rate of Aboriginal and Torres Strait Islander participation. One of the indigenous workers is Mendi Constructions employee Stafford Wyles, who has been on the site for a year . “During his employment, Stafford has gained roller operations, haul truck operations and electrical spotter qualifications, all of which will help him on future projects as well as in his current role,” Member for Townsville Scott Stewart said. The concepts and aspirations behind the design of the stadium have been explained in a behind-the-scenes video released by the government and produced by Townsville company Vetta Productions. It is the first of a four-part series on the new stadium that will become home to the North Queensland Cowboys NRL team.